Died from wounds and gas poisoning 28th August 1918. Walter was born in 1899 in Coseley, Staffordshire. He was the son of Walter Henry Cook and Harriet Ann Cook (Hodgetts) who married on 20th May 1896 in St Matthew’s Church, Tipton, Staffordshire. Walter Snr was a Shoemaker. Walter was baptised in the same church in Tipton. In 1901 the young couple were living in Coseley and had quite a houseful. Walter Cook aged 30, a railway porter, Harriet 30, and Walter 1. Also living with them were Phoebe Hodgetts, mother-in-law aged 51, Lillian Hodgetts, sister-in-law 19, Gertrude Hodgetts, sister-in-law 15, Mabel Attwood, boarder 6, Walter Attwood, boarder 5 and Harry Attwood boarder aged 2. By 1911 they had moved to 61 Farm Road, Langley Green, Oldbury. Walter Henry aged 40, boot repairer, Harriet Ann 40, Walter Quest 11 and Karl Benjamin 8. Little is known regarding Walter’s military history. It would appear that he enlisted in Mold to the North Lancs Regiment, but later transferred to the 51st Coy, Machine Gun Corps and died of wounds and gas poisoning on 28th August 1918, aged just 19. He is described as being the son of W and H Cook of Prestatyn, Flintshire. He is buried in the Terlincthun British Cemetery, Wimille, Pas-de-Calais, France. There is a record card for Walter in the Flintshire Roll of Honour at the County Archive Office in Hawarden, which confirms the above information. The first rest camps for Commonwealth forces were established near Terlincthun in August 1914 and during the whole of the First World War, Boulogne and Wimereux housed numerous hospitals and other medical establishments. 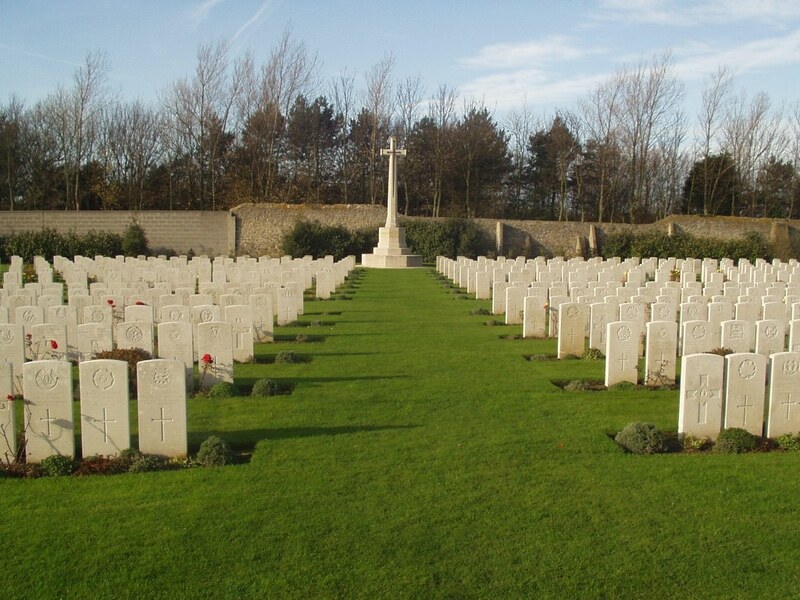 The cemetery at Terlincthun was begun in June 1918 when the space available for service burials in the civil cemeteries of Boulogne and Wimereux was exhausted. It was used chiefly for burials from the base hospitals. In July 1920, the cemetery contained more than 3,300 burials, but for many years Terlincthun remained an ‘open’ cemetery and graves continued to be brought into it from isolated sites and other burials grounds throughout France where maintenance could not be assured. The cemetery was designed by Sir Herbert Baker.